Model organism, a non-human species, refers to a series of selected organisms, which used to reveal a life phenomenon with universal laws by biologists. Due to the conservation of biological evolution, information about the nature or function of genes obtained from an experimental organism is often applied to other organisms. So researchers can use some of the more technically easy to manipulate organisms to study the biological problems of higher organisms. Here, we collect several model organism databases to aid in life science research. Mouse, also known as Mus musculus, is a small mammal of the order Rodentia, characteristically having a pointed snout, large rounded ears, and a long and hairy tail. It is one of the most abundant species of the genus Mus. Although a wild animal, it has benefited significantly from associating with human habitation to the point that truly wild populations are significantly less common than the semi-tame populations near human activity. Long time ago, the mouse had been domesticated as the pet or fancy mouse, and as the laboratory mouse, which is one of the most important model organisms in biology and medicine. According to numerous research data, several sweet guys have built a database of mouse, called MGI (Mouse Genome Informatics). MGI is the international database resource for the laboratory mouse, providing integrated genetic, genomic, and biological data to facilitate the study of human health and disease. For example, if we search for TP53, we can view genetic information (location & maps and strain comparison), related diseases, mutations, alleles and phenotypes, expression levels in different tissues, interactions with other markers, Gene Ontology (GO) annotation information, sequences &gene models, protein information and molecular reagents. About MGI, you can click the following link to obtain more information: http://www.informatics.jax.org/mgihome/projects/aboutmgi.shtml. Additionally, the guys from MGI are very thoughtful. They list a lot of frequently asked questions (FAQs) for each parts of data, including Genes, Genome Features & Maps, Phenotypes, Alleles & Disease Models, Gene Expression, Recombinases, GO Functional Annotations, Biochemical Pathways and Strains, SNPs & Polymorphisms. Each FAQ has a separate page to explain in detail. For more details, please click on the link below: http://www.informatics.jax.org/faq/FAQ.shtml. 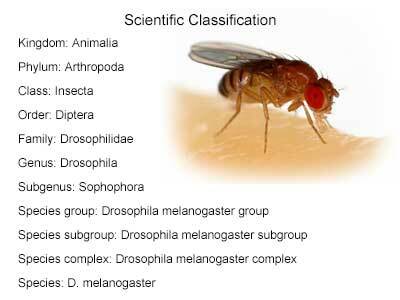 Drosophila melanogaster, a species of fly in the family Drosophilidae, is a small, common fly found near rotting fruit and in homes, restaurants, and other places where food is served. D. melanogaster has only four pairs of chromosomes, breeds quickly, and lays many eggs. For these reasons, starting with Charles W. Woodworth's proposal of the use of this species as a model organism, it has been in use for over a century to study genetics and lends itself well to behavioral studies. Additionally, it also continues to be widely used for biological research in physiology, microbial pathogenesis, and life history evolution. As of 2017, eight Nobel prizes had been awarded for research using Drosophila. 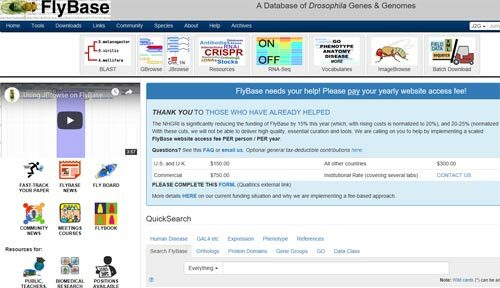 FlyBase is an online bioinformatics database and the primary repository of genetic and molecular data for the insect family Drosophilidae. FlyBase contains a complete annotation of the Drosophila melanogaster genome that is updated several times per year. Moreover, it also includes a searchable bibliography of research on Drosophila genetics in the last century. Information on current researchers, and a partial pedigree of relationships between current researchers, is searchable, based on registration of the participating scientist (Find a Person). The site also provides a large database of images illustrating the full genome, and several movies detailing embryogenesis. About FlyBase, you can click the following link to obtain more information: http://www.flybase.org/. 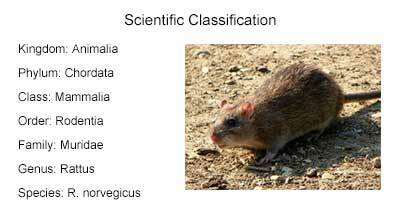 The rat, also called Rattus norvegicus, refers to a series different breed of rat. Among of them, the brown rat is one of the best known and most common rats. With rare exceptions, the brown rat lives wherever humans live, particularly in urban areas. Selective breeding of Rattus norvegicus has produced pet rats, as well as the laboratory rat - the white rats used as model organisms in biological research. The Rat Genome Database (RGD) was established in 1999 and is the premiere location for rat genomics, genetics, physiology phenotype, disease and functional data, as well as data for comparative genomics between rat, human and mouse. 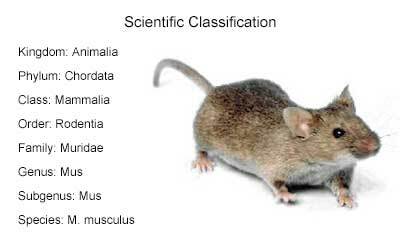 In addition, it provides easy access to corresponding human and mouse data for cross-species comparisons. RGD’s comprehensive data and innovative software tools make it a valuable resource for researchers worldwide. 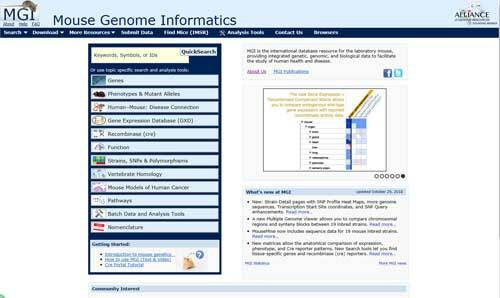 The Rat Genome Database (RGD) RGD has powerful tools for online analysis and visualization. RGD is responsible for attaching biological information to the rat genome via structured vocabulary, or ontology, annotations assigned to genes and quantitative trait loci (QTL), and for consolidating rat strain data and making it available to the research community. About RGD, you can click the following link to obtain more information: https://rgd.mcw.edu/. 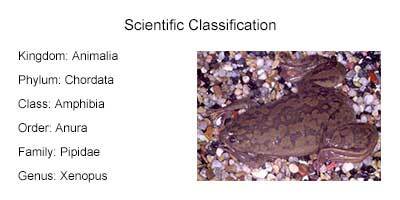 Clawed frog, also known as Xenopus, is a genus of highly aquatic frogs native to sub-Saharan Africa. Twenty species are currently described within it. Among of them, there are two best-known species of this genus, including Xenopus laevis and Xenopus tropicalis, which are an invaluable tool to study vertebrate embryology and development, basic cell and molecular biology, genomics, neurobiology and toxicology and to model human diseases. Studying Xenopus, allows us to decipher how regulatory and interactions networks direct embryonic development, how they adapt during aging and under environmental stress, and how they become dysregulated to cause disease, malformations and birth defects. All species of Xenopus have flattened, egg-shaped and streamlined bodies. The frog's skin is smooth, but with a lateral line sensory organ that has a stitch-like appearance. The frog's eyes are on top of the head, looking upwards. If you want to know more things about Xenopus, you can click the following link: http://www.xenbase.org/anatomy/intro.do. Xenbase has been available since 1999, invovling both X. laevis and X. tropicalis Xenopus varieties. 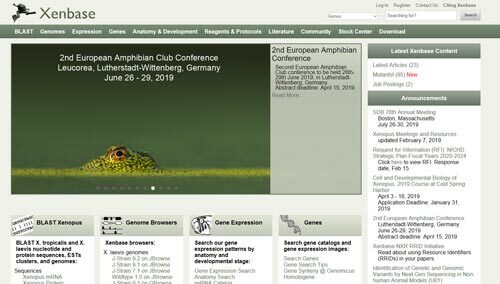 It aims to provide the international research community with a comprehensive, integrated and easy to use web based resource that gives access the diverse and rich genomic, expression and functional data available from Xenopus research. Additionally, Xenbase also provides a critical data sharing infrastructure for many other NIH-funded projects, and is a focal point for the Xenopus community. In addition to our primary goal of supporting Xenopus researchers, Xenbase enhances the availability and visibility of Xenopus data to the broader biomedical research community. More information about Xenbase, please click this link: http://www.xenbase.org/other/static/aboutXenbase.jsp. The zebrafish, also known as Danio rerio, is a tropical freshwater fish belonging to the minnow family of the order Cypriniformes. 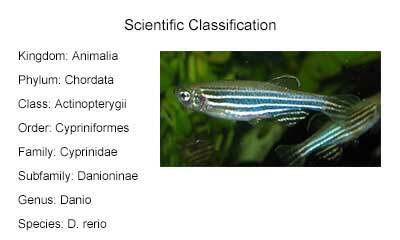 The name "zebrafish" derives from the horizontal blue stripes on each side of their bodies. In the wild, they are found in rivers and ponds of India, but now it is a popular aquarium fish. The zebrafish is also an important and widely used vertebrate model organism in scientific research, especially in human disease. Although humans may appear to be extremely different than zebrafish, we are actually much more similar to them than you might think. Actually, 70% of human genes are found in zebrafish. Besides, zebrafish have two eyes, a mouth, brain, spinal cord, intestine, pancreas, liver, bile ducts, kidney, esophagus, heart, ear, nose, muscle, blood, bone, cartilage, and teeth. Many of the genes and critical pathways that are required to grow these features are highly conserved between humans and zebrafish. Thus, any type of disease that causes changes in these body parts in humans could theoretically be modeled in zebrafish. The Zebrafish Information Network (ZFIN) is a group of us were appointed at the 1994 Cold Spring Harbor meeting on zebrafish genetics and development, to establish an on-line database of information for zebrafish researchers. ZFIN aims to serve as the zebrafish model organism database. It consists of two principal parts: a. A website of community news and announcements, as well as biological resources such as laboratory protocols, a gene nomenclature guide, and anatomy information. b. A relational database containing biological data that are curated from the scientific literature and that are directly submitted by zebrafish research laboratories. 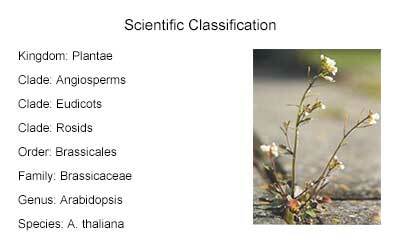 Thale cress, also known as Arabidopsis thaliana, is a small flowering plant that is widely used as a model organism in plant biology. Arabidopsis is a member of the mustard (Brassicaceae) family, which includes cultivated species such as cabbage and radish. Arabidopsis is not of major agronomic significance, but its small genome size and ease of cultivation offer important advantages for basic research in genetics and molecular biology. Arabidopsis thaliana has a genome size of ~135 Mb, and a haploid chromosome number of five. The Arabidopsis Information Resource (TAIR) maintains a database of genetic and molecular biology data for the model higher plant Arabidopsis thaliana. Data available from TAIR includes the complete genome sequence along with gene structure, gene product information, gene expression, DNA and seed stocks, genome maps, genetic and physical markers, publications, and information about the Arabidopsis research community. Gene product function data is updated every week from the latest published research literature and community data submissions. Baker's yeast, also known as Saccharomyces cerevisiae, is a species of yeast. It has been instrumental to winemaking, baking, and brewing since ancient times. It is one of the most intensively studied eukaryotic model organisms in molecular and cell biology, much like Escherichia coli as the model bacterium. S. cerevisiae cells are round to ovoid, 5–10 μm in diameter. It reproduces by a division process known as budding. 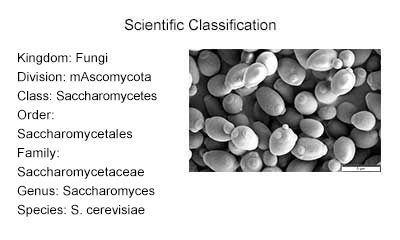 The Saccharomyces Genome Database (SGD) is a scientific database of the molecular biology and genetics of the yeast Saccharomyces cerevisiae, providing comprehensive integrated biological information for the budding yeast Saccharomyces cerevisiae along with search and analysis tools to explore these data and discover the functional relationships between sequence and gene products in fungi and higher organisms.